Occasionally, you may wish to delete a bank account from PocketSmith. This is useful if you've accidentally added an account that you do not wish to track, or if you've closed an account and don't want to keep any of its historical data. If you've closed the bank account, but wish to keep the transaction history, you may instead want to consider archiving the account. 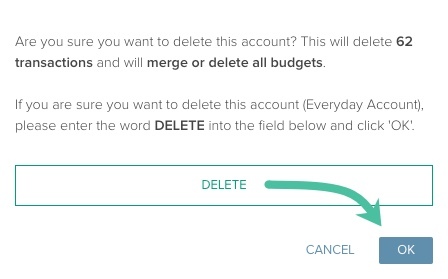 Deleting an account will delete all of its transactions, budgets, bills, and scenarios. 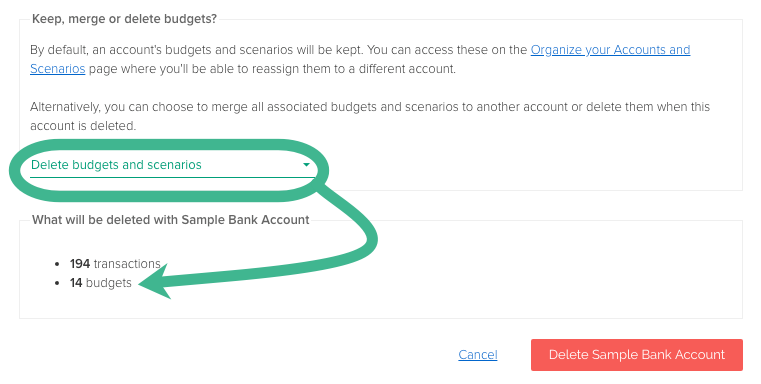 However, you can choose to move the account's budgets and scenarios to another account during the deletion process. 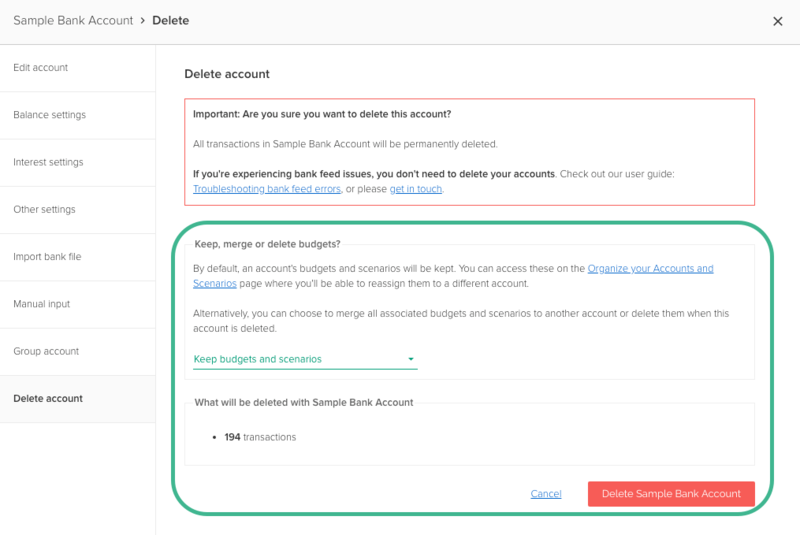 If you choose the option Delete budgets and scenarios, we'll display exactly what will be deleted below the drop-down menu. Once you complete the account the deletion, the budgets and scenarios cannot be recovered.